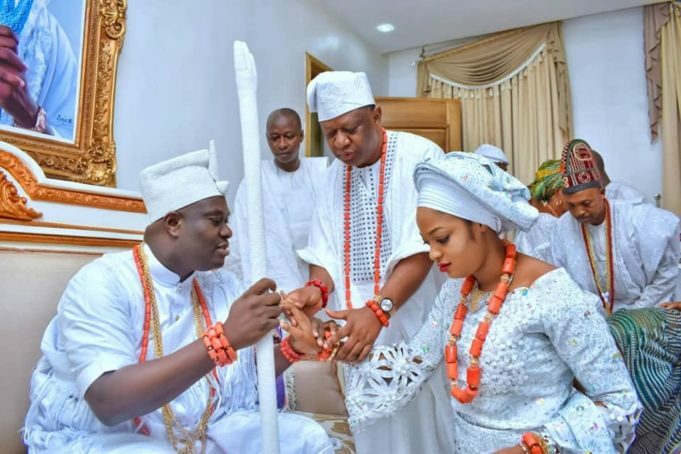 More photos have been released as the Ooni of Ife welcomes his new queen to his palace. 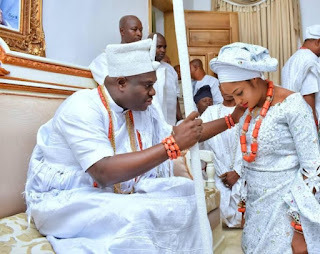 After news broke last night, that the Ooni of Ife Oba Adeyeye Ogunwusi has remarried a beautiful prophetess/evangelist in her 20s – prophetess/evangelist Naomi Oluwaseyi, more photos showing the Ooni welcoming her to the Palace has been released. 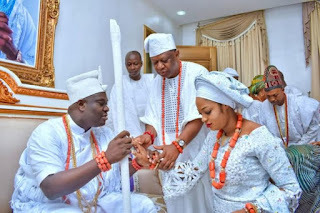 Here are beautiful pictures of the Ooni of Ife welcoming his new wife and queen, Evangelist Naomi into the palace. Her new name is Her Majesty, Olori Moronke Naomi Silekunola Ogunwusi is The New Yeyeluwa Oodua. 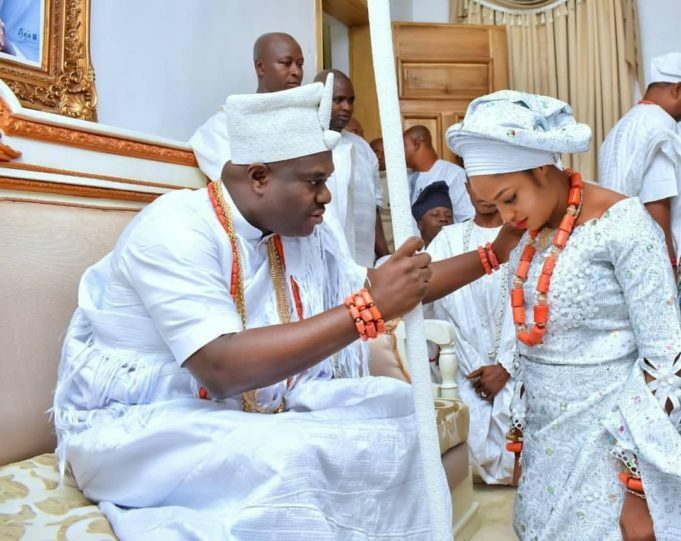 The Ooni’s palace in a statement said necesary rites have been fully performed.